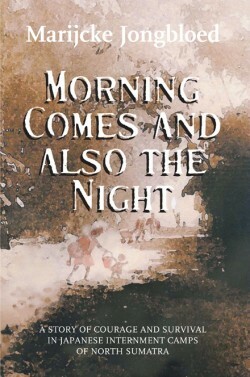 CLEW reviews books – mostly with an expat touch: Morning Comes and Also the Night, written by Marijcke Jongbloed. For CLEW by Summertime Publishing. Morning Comes and Also the Night is the biography of a Dutch family confined in a Japanese internment camp in Indonesia during the Second World War. Due to the dominion of the Dutch East Asia Trading Company in the region, Indonesia became a Dutch colony in 1800, not regaining its independence until 1945. In the intervening years, trade from the Dutch East Indies saw the Netherlands becoming a major player in the international market. This all came to an end with the onset of WWII and the Japanese invasion of the region. Marijcke Jongbloed is a Dutch writer, medical doctor, amateur biologist and avid supporter of wildlife conservation. She was born in 1943 in Poeloe Braya, a Japanese internment camp in North Sumatra. Like many Dutch residents living and working in Indonesia at the time, Jongbloeds’ parents, Henk and Rie, were interned, separated and held prisoner for over three years during the Japanese occupation. Morning Comes and Also the Night is an account of their experience recreated after the author discovered a cache of smuggled letters her parents had written to one another during their years of imprisonment. The letters describe the living conditions of the camps, the forced labor, food rations, sleeping arrangements, punishments, and other daily activities of the prisoners. Without becoming sentimental, the letters confirm that the internment years were extremely difficult times of hunger, suffering and degradation. Further collaboration of the events comes from research and interviews with surviving POWs, yet for the most part, the author refrains from examining the causes of the war or the actions of the countries involved. Jongbloed keeps this account of the war on a truly personal level. It is, after all, also the story of her birth and early years, as recorded by her parents. By doing this, Morning Comes and also the Night, is a chronicle of the war years accessible to all readers. Finally this book is about the human condition. It details the experience of a woman keeping her baby safely alive to see the father desperate to meet her for the first time. It is a story of struggle, courage, bravery and hope in the face of severe adversity. Morning Comes and also the Night is not only a great read, it is a reminder of the inherent human will to survive.